Funny Wall Sticker. Are you looking for ideas on how to decorate your nursery or kids bedroom? This funny text based wall sticker could be exactly what you're looking for. 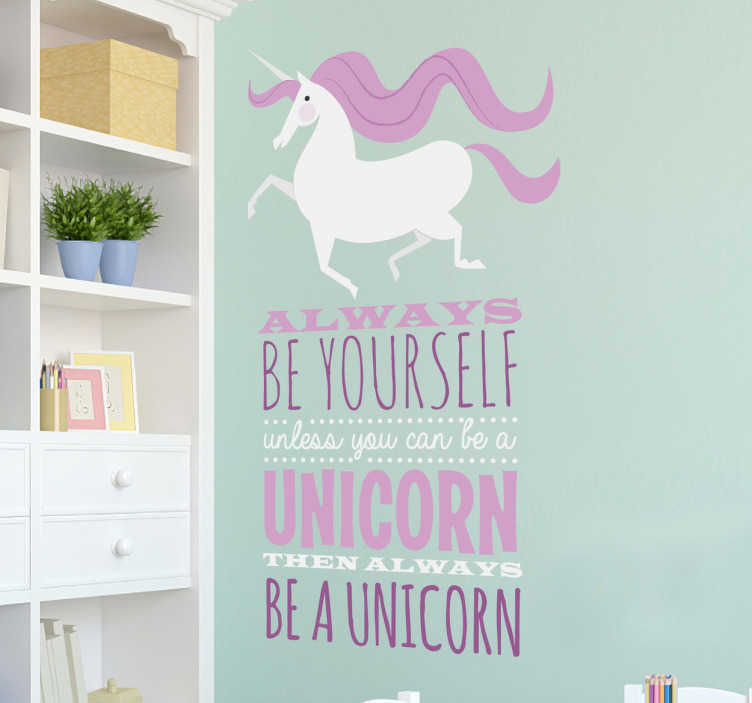 The message consists of "Always be yourself, unless you can be a unicorn. Then always be a unicorn!" Above the text is an image of a cartoon unicorn with pink hair. This sticker is available in a variety of sizes for you to choose from.